The Champions League returns this week with four round of sixteen clashes. Ahead of the games let’s have a look at the key talking points from the midweek clashes. As ever, you can follow all of the action Live & Exclusive with beIN SPORTS. Not many people would have put Manchester United as favourites going into their clash against PSG once the draw had been made. The Red Devils had been treading water in the Premier League, sitting in sixth place as Jose Mourinho’s unique brand of defensive football was testing the patience of players and fans alike. Flash forward a few months, and Manchester United are a club transformed under caretaker coach Ole Gunnar Solskjær. The former United striker, who scored the decisive goal in the 1999 Champions League triumph is undefeated in his first 11 games in charge with the club, and have just broken back into the top four in the league. Central in the upturn of United’s fortunes has been the man management of Solskjær with the likes of Marcus Rashford, Romelu Lukaku & Paul Pogba who had been marginalized at times under Mourinho’s tenure. With United riding a wave of good form, the visit of PSG to Old Trafford represents a run of three tricky games including Premier League ties against Chelsea & Liverpool. Providing the Norwegian can successfully navigate the next few weeks, Solskjær could very well be United’s full-time manager next season. Just as United are finding their stride, PSG is facing an injury crisis heading into the Tuesday evening contest in Manchester. The Parisians will already be without star man Neymar after it was confirmed that the Brazilian would be out for ten weeks following a metatarsal injury in the Coupe de France clash against Strasbourg on the 23rd of January. Whilst also right-back Thomas Munier will also be absent due to a concussion. However, following the 1-0 win against Bordeaux, it seems that Uruguayan attacker Edison Cavani will also be absent from the side. Cavani scored the decisive goal from the penalty spot in the first half, before limping off in discomfort after injuring a tendon in his hip. For now, it is not fully confirmed if the attacker will make the squad, but you have to feel it's unlikely Cavani will play a part in Manchester. 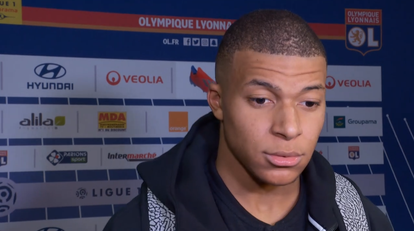 The emphasis will then fall of Kylian Mbappé to supply the Parisians with goals. The World Cup winner has three Champions League goals to his name this season and will be eager to get on the scoresheet as PSG look to topple United and progress to the quarter-finals. It seems that Real Madrid is getting their act together just in time for a tilt at a fourth straight Champions League title. 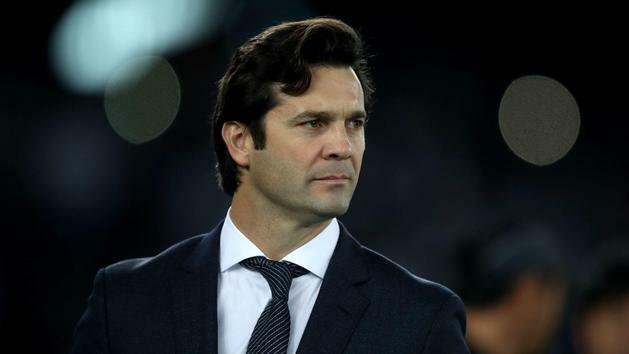 Just like United, Los Blancos have stabilized under Santigo Solari and are now undefeated in their last seven games under the Argentine coach. Confidence will be high in the Real ranks, especially after their impressive 3-1 away win against cross-town rivals Atletico Madrid. Goals from Casemiro, a penalty from captain Sergio Ramos and a second-half strike from Gareth Bale condemned Atleti to only their third defeat of the season. Teenager Vinisus Junior was one of the stand out players on Saturday and is widely expected to pip Gareth Bale to a starting place midweek. As for Ajax, they have faulted recently in the league following a heavy 6-2 defeat to title rivals Feyenoord & a shock 1-0 loss to Heracles over the weekend. Coupled with the news that Barcelona bound midfielder Frenkie de Jong is a doubt for the trip to Madrid, this could be a perfect time to take on the Dutch side. Real have an undoubted pedigree in the Champions League, and are finding their form just at the right time. Don’t be surprised if you find them in the final come the end of May. Tottenham Hotspur can be considered dark horses for the Champions League title, and you definitely can’t rule out the North London side getting better of the Bundesliga leaders Borussia Dortmund over two legs. Spurs have kept on winning in the league, keeping in touching distance of Manchester City & Liverpool despite being without Harry Kane & Dele Alli. The timely return of South Korean attacker Son Heung-min from the Asian Cup has been a huge boost for Tottenham, and could prove to be the difference maker for the visit of Dortmund. Son scored for the third consecutive game at the weekend, a magnificent breakaway goal to confirm all three points in a 3-1 win over Leicester. The 26-year old is set to lead the line on Wednesday and is no stranger to facing Dortmund having played in the Bundesliga for Bayer Leverkusen. Providing Son can get the service from the likes of Harry Winks & Christian Eriksen, expect him to continue his goalscoring feats midweek. It certainly promises to be a fascinating round of Champions League action and as ever beIN SPORTS will have uncompromised and exclusive coverage in Arabic, English & French. You can watch the Live Match stream for all four games via beIN CONNECT. Juventus 0-1 Florentina - Live!